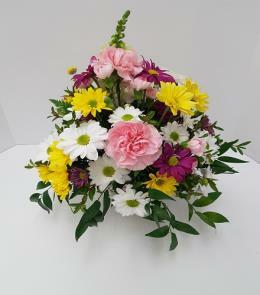 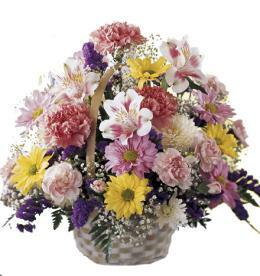 Fall flowers neatly arranged in a cube vase. 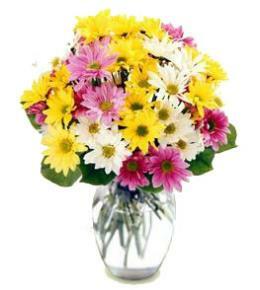 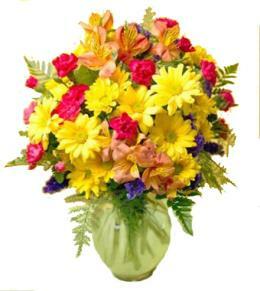 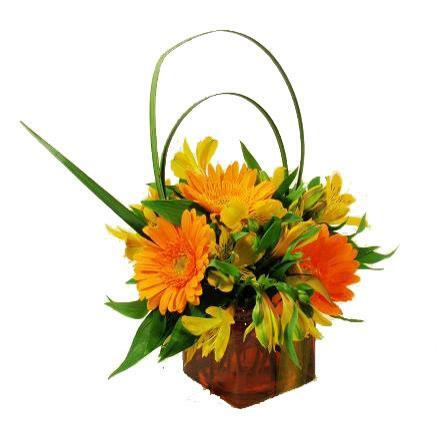 Features orange gerbera daisy and alstroeneria with greenery. . Zen Contemporary Flowers - Gerbera in Cube Vase. 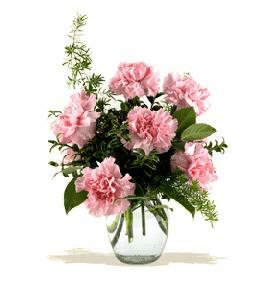 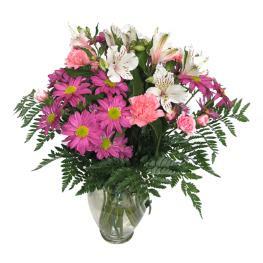 Florist Notes: Pretty, funky, modern.